After having set up its foot firmly in providing guidance to students appearing for IIT-JEE and other engineering entrance examinations and rolling out four “world schools” in Hyderabad, FIITJEE Ltd plans to set up four “global schools” across the country in the next two years. FIITJEE, which is likely to clock a turnover of Rs 360 crore in 2011-12 (Rs 280 crore in 2009-10), also plans to go for an initial public offering in the next two-to-three years, said Mr C.V. Kalyan Kumar, director and head of corporate communication, FIITJEE. The first of the global schools to be set up in Bhopal is likely to be operational by the end of this year. “We are in talks with investors for setting up schools in Kolkata, Bengaluru and Rourkela,” Mr Kumar said. The school will have classes from kindergarten to XII. According to Mr Kumar, the primary differentiating factor between FIITJEE’s World School and Global School would be in terms of the infrastructure and curriculum. “The world school in Hyderabad is not a residential school and is based primarily on the State board syllabus. The global school, on the other hand, will have both day scholar and boarding facilities, the infrastructure will also be of higher standards and it will offer three curriculum options (CBSE, ICSE and State board) to students to choose from,” Mr Kumar said. The average cost of setting up the infrastructure for the Global School would be close to Rs 150 crore, he said. FIITJEE will look at roping in equity partners for investing for setting up the Global School. “The World School was set up with internal accruals, but we are looking for suitable investors for the Global School,” Mr Kumar said. FIITJEE – which currently has 52 coaching centres across the country and two overseas, in Doha and Bahrain – plans to spread its wings to newer territories. “We are planning to set up FIITJEE centre in Dubai and Europe. This apart, we are also looking at expanding our presence in the domestic market, primarily in the Tier II and III towns,” Mr R L Trikha, head of department, distance education, FIITJEE said. The educational institute, which so far has been catering primarily to engineering examinations, also plans to roll out specialised classes for students appearing for medical entrance examination. In a bid to enable more students from Odisha to qualify for the IIT and JEE entrance, ABLES Educations, Kota (Rajasthan) has decided to open its study centre in the capital. It would be its first centre in eastern India. 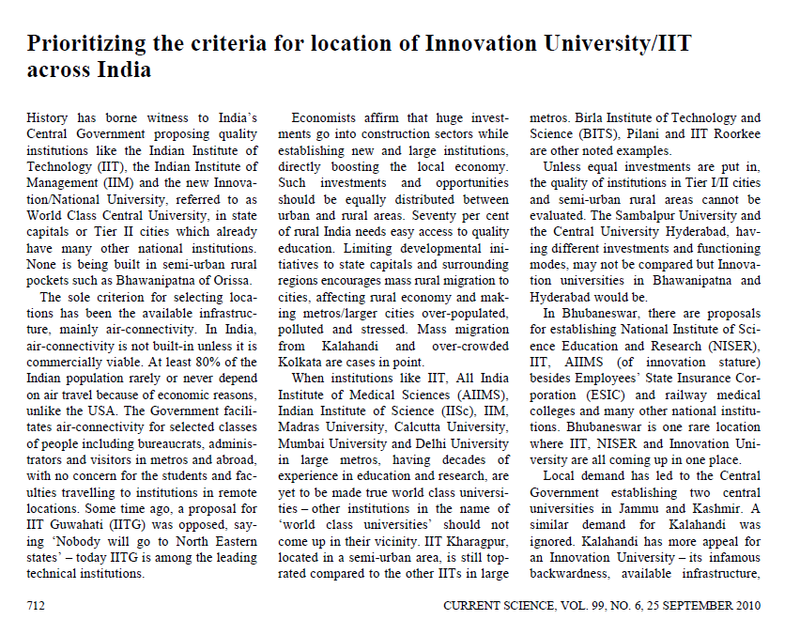 Worthwhile to mention, Kota is famous for producing highest number of IITians in the country. Addressing a Press conference here, Head Operations, ABLES Education Shiv Prakash Vijay said with his 28 high quality centres across the country, the institute has been able to help a number of students to qualify the tough examinations like IIT, AIEEE and medical test. “Around 30 per cent of our total faculties are from IIT back ground,” he said, adding that it selects its faculty and teachers through all -India recruitment programmes with preference for IIT and NIT graduates. “Out of the totally 8,000 qualified for the IIT, 12 per cent are from our institutes,” he said, adding that there are regular tests for students like daily tests, simulator test and online test. “Bhubaneswar has the potential to become Kota of the East,” he added. He further said one student has to pay Rs 50,000 to Rs 55,000 for the enrollment in the Bhubaneswar institute. Academic Director, ABLES Education Dr Bijoya Mishra said the new centre would function from April. “We have not yet decided the location of the centre,” she said, adding that all the faculties of the centre would come from Kota. Senior Faculty members Venkar Panikiran, Rajat Gupta, eminent educationist Prof Priyambada Hejmadi were present on the occasion.